The Town of Wadesboro is proud to be a Main Street community in the North Carolina Main Street Program. Wadesboro became a Main Street community in 1984. It is the only Main Street town administered solely by volunteers. Since 1980, 53 small towns throughout the state of North Carolina have been selected to be Main Street Communities. The Main Street Program is administered through the North Carolina Department of Commerce. For more information on the North Carolina Main Street Program, please go to NC Main Street. 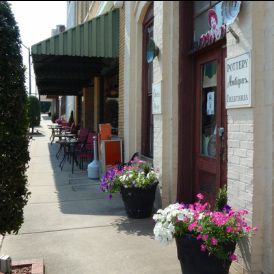 NC Dept of Commerce's Four-Point Approach to the Main Street Program The Main Street Program offers a comprehensive commercial district revitalization strategy that has been widely successful in towns and cities nationwide. The Four-Point approach described here is a comprehensive revitalization process designed to improve all aspects of the downtown, producing both intangible and tangible benefits. Improving economic management, strengthening public participation and making downtown a fun place to visit are as critical to Main Street's future as recruiting new businesses, rehabilitating buildings and expanding parking. Building on a downtown's inherent assets-rich architecture, personal service and traditional values, the Main Street approach has rekindled entrepreneurship, downtown cooperation and civic concern. 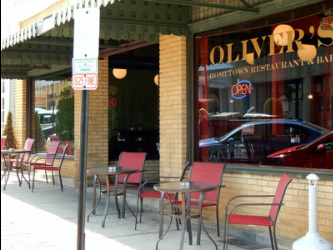 Promotion: Reestablishing downtown as a compelling place for shoppers, investors and visitors. This means not only improving sales but also rekindling community excitement and involvement. Promotion ranges from street festivals to retail merchandising, from community education to aggressive public relations. Design: Enhancing the visual quality of the downtown. Attention must be given to the elements of the downtown environment - not just buildings and storefronts but also public improvements, rear entries, signs, landscaping, window displays and graphic materials. Economic Restructuring: Strengthening the existing economic assets of the business district while diversifying its economic base. Activities include market analysis to understand the changing market place; adaptive reuse of vacant structures as entertainment or cultural facilities; and sharpening the competitiveness of Main Street's traditional merchants. Congratulations and thanks to the 2013 Main Street Champion Brook Crider. Brook Crider has been honored as Wadesboro's 2013 Main Street Champion. 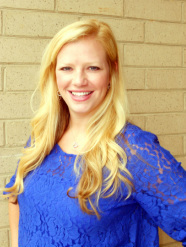 Brook Crider, current chair of Uptown Wadesboro, Inc., has served as a member of the board of directors since 2007. During her three years as board chair, she has provided dynamic leadership for the Wadesboro Main Street Program. Brook has refined the annual plan of work which includes the Summer Jam Concert series; the Uptown Farmers Market; a 9/11 American flag display; a 5K Pumpkin Run; an expanded Fall Festival; the Christmastime Tour of Homes; and the Blue Grass Christmas. Brook planned and conducted Uptown Wadesboro, Inc.'s first organized sponsorship fund drive, raising close to $10,000 to help support the organization’s plan of work. To accomplish the many activities which take place in the center of town, she developed an excellent working relationship with the Town of Wadesboro. member of First Baptist Church of Wadesboro. The annual Main Street Awards Program is always an inspirational evening featuring projects and renovations from all across the state and honoring NC Main Street Champions from many cities and towns.